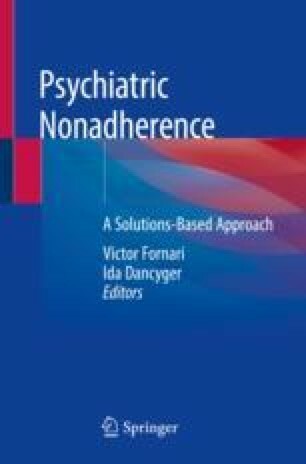 Poor adherence to mental health treatment is a common problem and barrier to optimal health outcomes in primary care and has been associated with treatment failures and increased health-care costs. Addressing poor adherence is critical and more effective strategies are needed. Collaboration between primary care and psychiatry provides an approach to better promote adherence to treatment in ways that may be more acceptable and accessible to patients. This chapter will discuss general aspects of collaborative care as a model for improving access to and adherence with mental health-care treatment in primary care practice. Additionally, we use Child and Adolescent Psychiatry for Primary Care (CAP PC) as an example and provide cases to highlight practical strategies and resources. We would like to express our special thanks of gratitude to our colleagues from CAP PC: Victor Fornari, Michael Scharf, Wanda Fremont, Rachel Zuckerbrot, Carmel Foley, Theresa Hargrave, James Wallace, George Blakeslee, Sourav Sengupta, Jennifer Petras, Jennifer Singarayer, Alex Cogswell, Scott Falkowitz, Andrew Mietz, Eric MacMaster, and Ira Bhatia. AIMS Center. University of Washington. IMPACT: evidenced based depression care. http://impact-uw.edu.